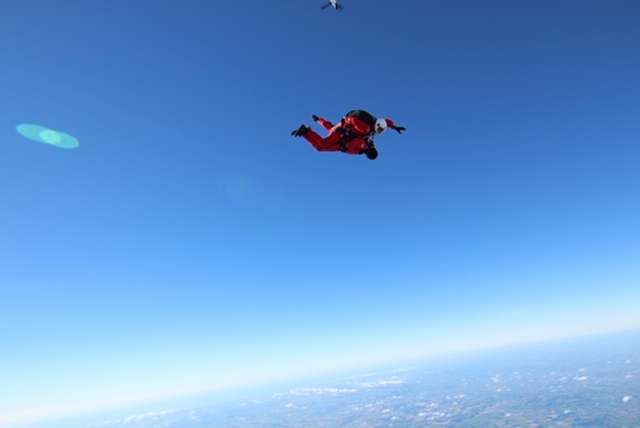 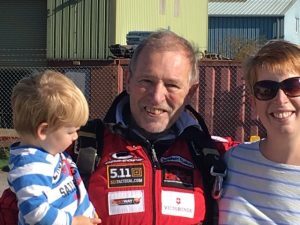 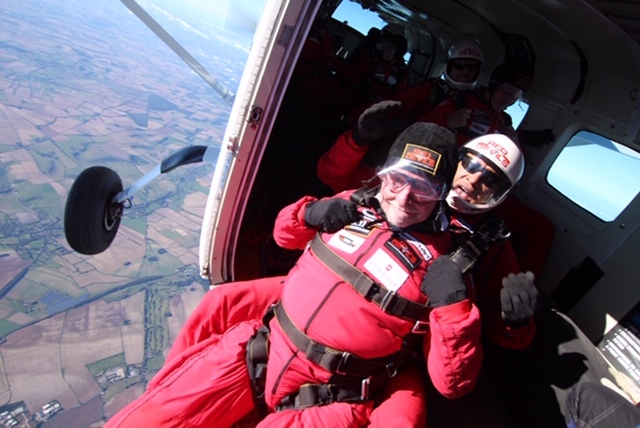 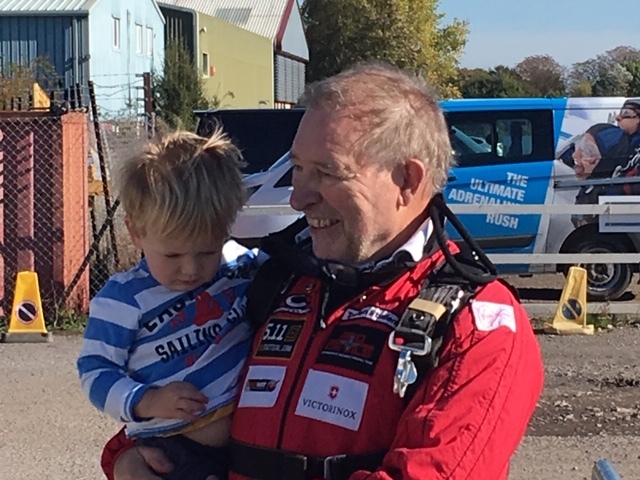 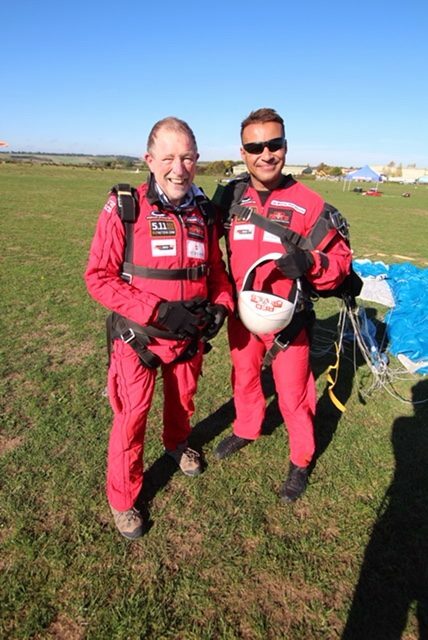 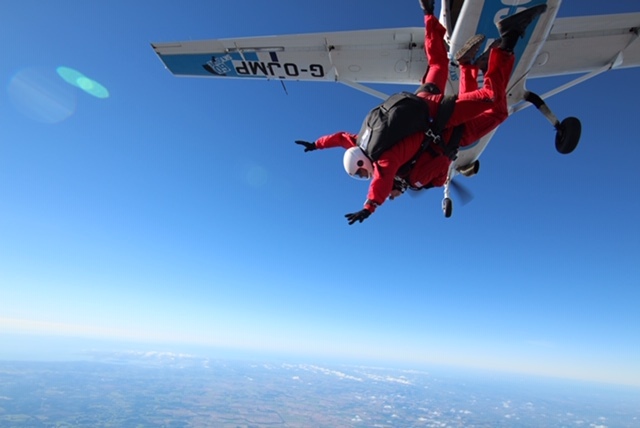 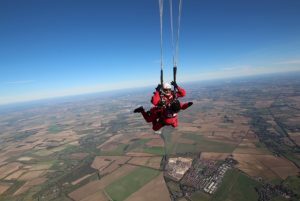 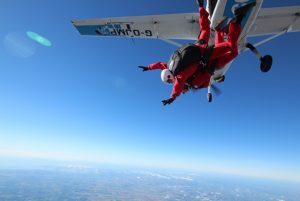 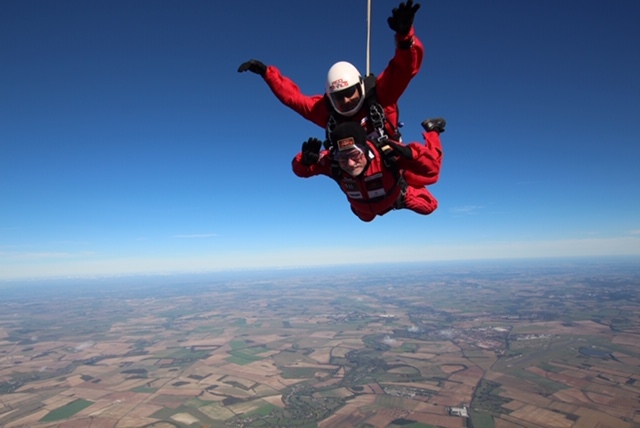 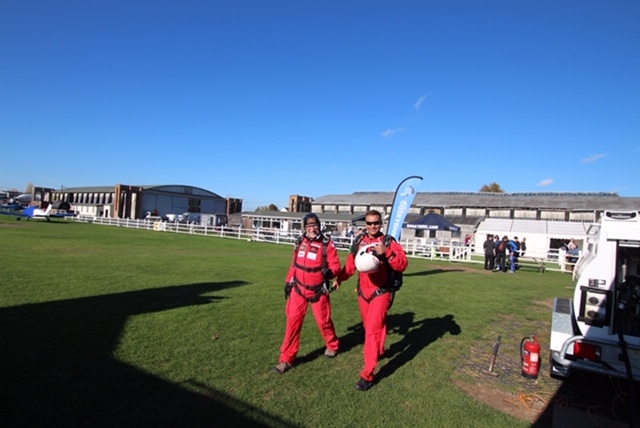 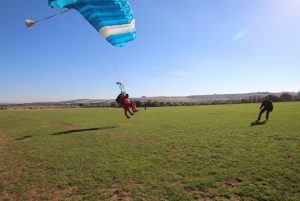 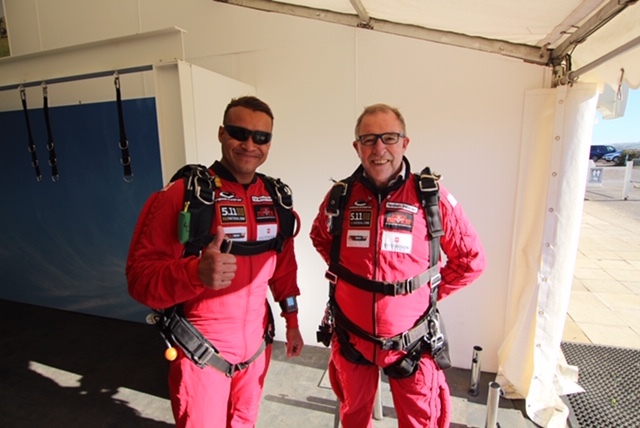 On 9th October 2018 the Master, Tony Ward, successfully completed his Sky Dive, jumping from 13,000 feet partnered by a Red Devil parachutist and landing safely at Old Sarum airfield in Hampshire. 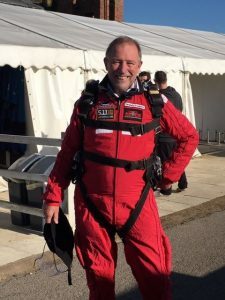 Tony undertook this daring, nay possibly foolhardy, feat to raise £30,000 for Treloar’s, thereby allowing them to purchase a “Jaco Robotic Arm” for their students. 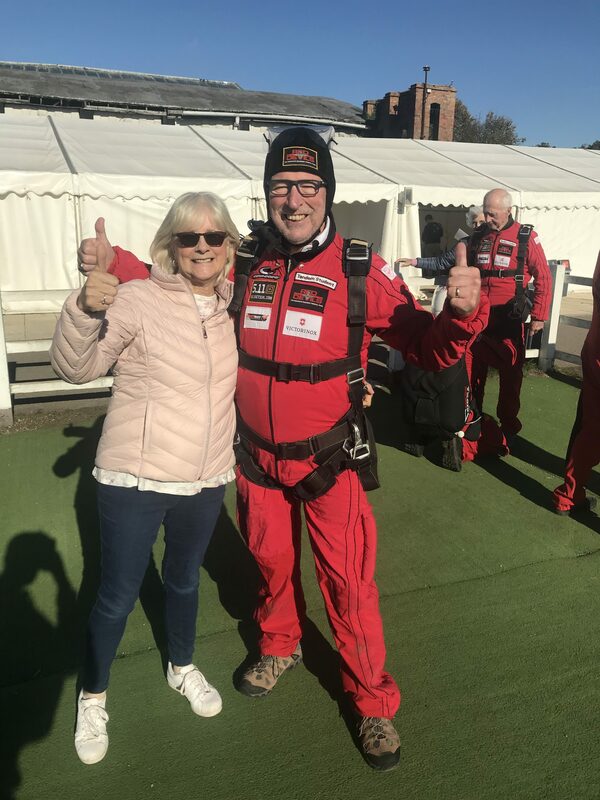 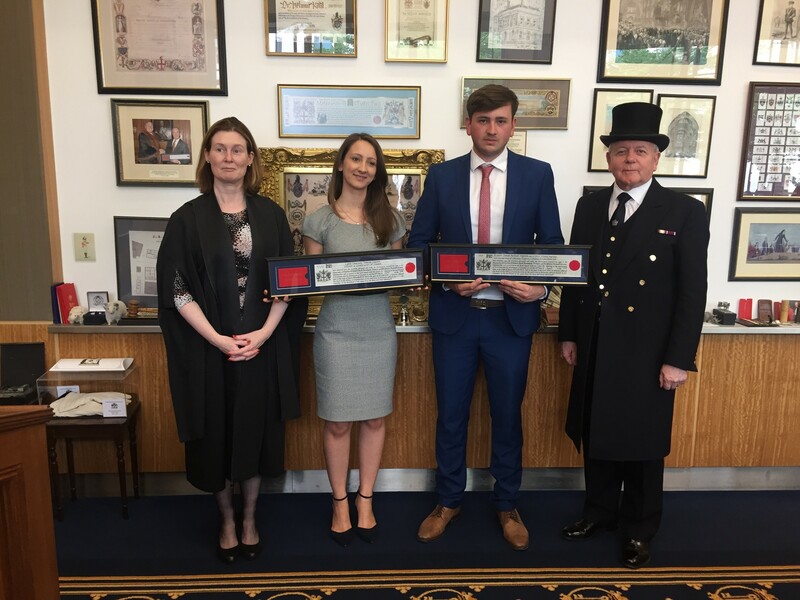 He was originally due to undertake the Jump on 19th September, but strong winds at the airfield caused the jump to be delayed until 9th October, although Tony had by then already delivered the cheque to Treloar’s during their Gala Dinner at the Mansion House. 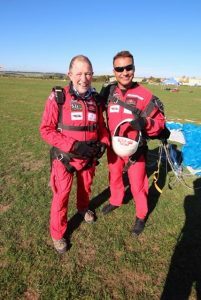 The pictures show Tony “booted and suited” as he prepared for the jump and, no doubt somewhat relieved, after landing. 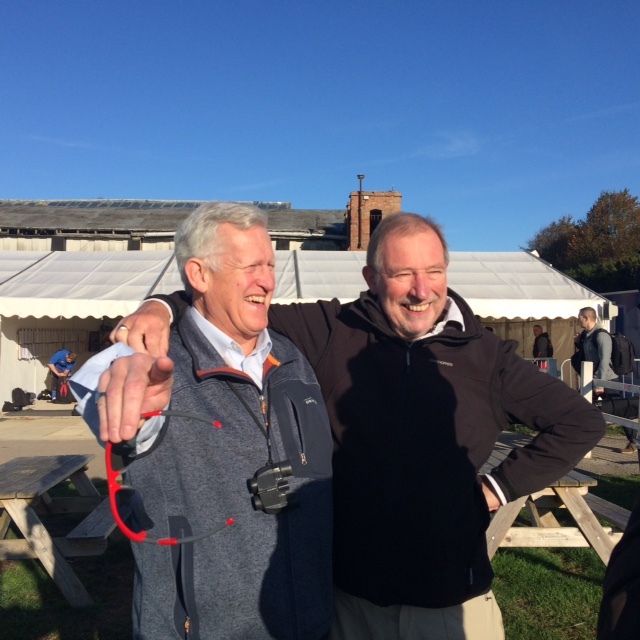 Getting ready to go – The Master and the Clerk do a quick check of the prelims!!!! It’s getting serious now and soon it will be too late to say NO! Oh dear! It is too late! 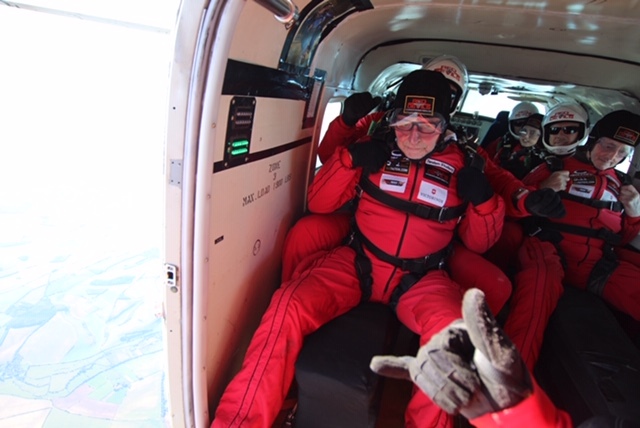 And then it was back to earth – with some relief, after an adrenaline filled 6 minutes sky-diving from 13,000 feet! 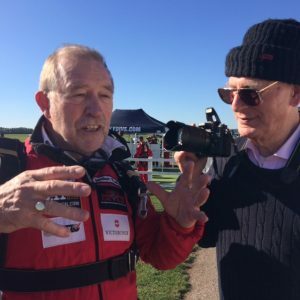 And finally: – Well John – it was like this . . .